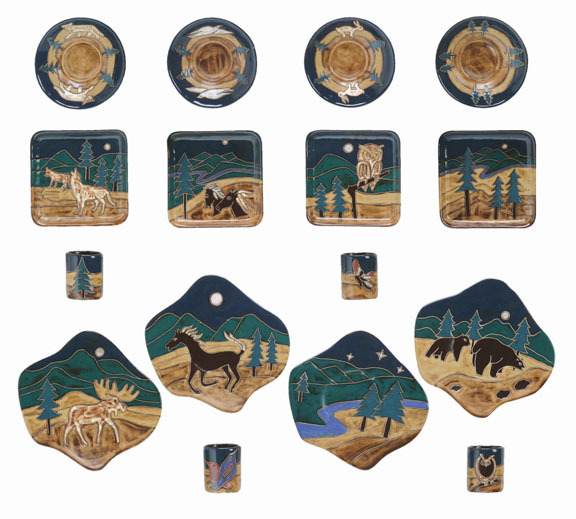 Southwest Dinnerware will add an artful touch to your dining experience because each piece in the 16 piece stoneware sets shown below are unique and portray a beautiful desert scene from the southwest. High-fired twice in a kiln for durability and then finished by an artist. 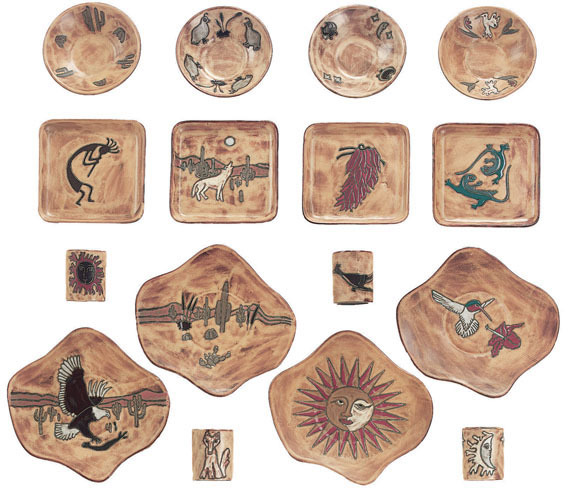 In these southwest dinnerware sets, each piece is unique which as you can imagine makes for quite a stunning table display. 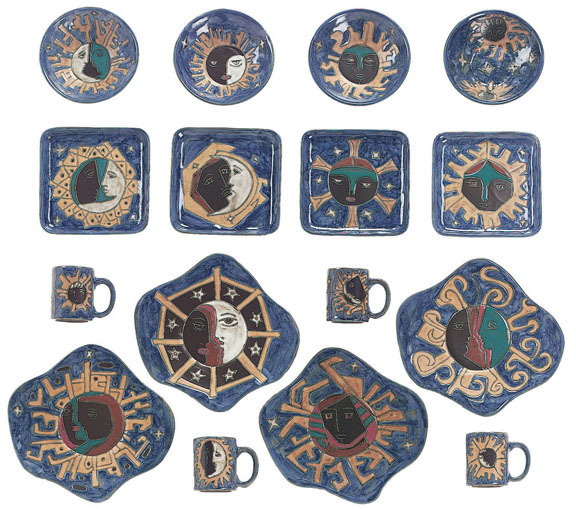 Since each piece is high-fired twice and finished by hand, variations may occur. Minor flaws are a characteristic of hand-finished stoneware and are part of its charm and artistry. Only lead-free glazes are used, so there is no lead or cadmium in this dinnerware. Reserve your southwest dinnerware set today!